Experience the Best of Slovenia on this full day tour to the capital city Ljubljana, the Postojna Caves, and the Predjama Castle. Meet with your private driver at the Koper or Piran Port to begin your wonderful day in Slovenia. Travel first to the quaint but vibrant Ljubljana, the capital city of Slovenia. Although it is a small city of only 300,000 inhabitants, it is truly a gem. 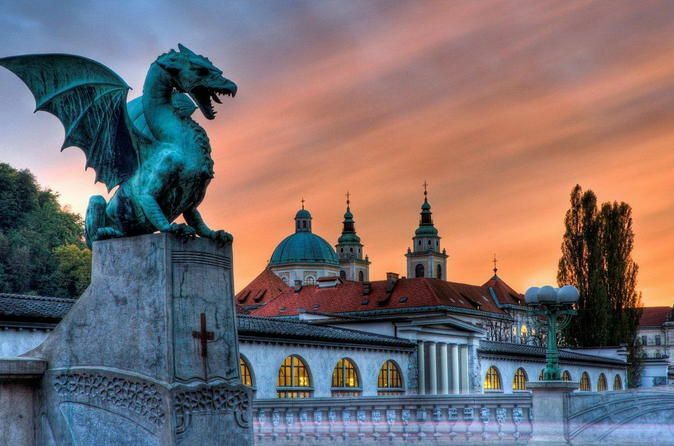 Spend the morning exploring Ljublana on a walking tour of the old town, including stops at the 15th century Town Hall, Preseren Square, and the old arcaded market. Stroll across the famous Dragon Bridge, lined with dragon statues that have become the symbol of the city. Next, you can choose to take a funicular ride to the Castle to explore the grounds and get panoramic views of the city, or you can take a leisurely cruise down the Ljubljanica River. Enjoy some free time to stop for lunch in the city, and stroll the riverbank stretch filled with cafes and shops. Next, you will begin the journey towards the Postojna Caves, which have been open to the public for over 200 years. Take a train ride almost 3 miles into the cave system on a 1.5 hour adventure tour ​into the depths of the earth and admire the lovely limestone formations that have formed there. After this, arrive at the Predjama Castle, the largest cave castle in the world! Predjama Castle is built into the mouth of a cave, at the edge of a towering cliff almost 400 feet in the air. Visit the interior of this cave castle, learn about Medieval construction methods, and witness how architecture and nature have fused into one. 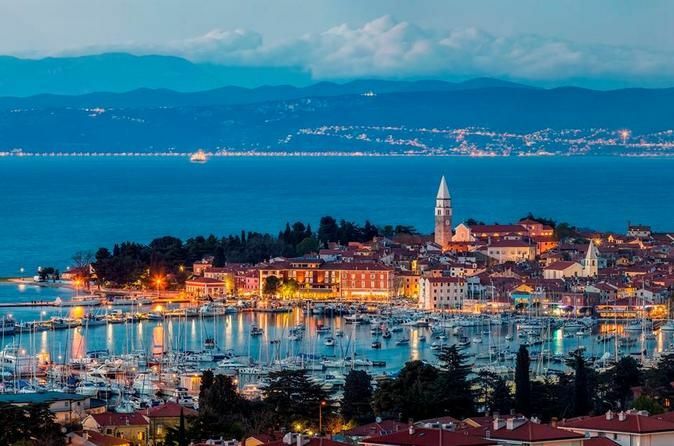 At the end of the tour, travel back to Koper or Piran Port with your private driver.